Botox is an injectable solution used both as a medical treatment to address muscular conditions and it can also be used cosmetically to remove wrinkles by relaxing the movement of muscles that produce wrinkles. What are some benefits of using Botox Cosmetic for Wrinkles? Although most of the benefits from using Botox can be related to reducing lines and wrinkles. Other uses are to lift the brow, decrease excessive sweating and recently it is believe that it may even help reduce migraines. Botox is a non-surgical treatment, meaning that most patients can resume most of their daily activities after treatment. The procedures are short and doesn’t require too much time and they are a great alternative for looking younger when compared to other surgical procedures. Botox is commonly used by many people and the results are amazing. Facial musculature, like muscles in different individuals, may vary in size (some are shorter, some are broader across the forehead). Certain facial muscles are stronger in some individuals. 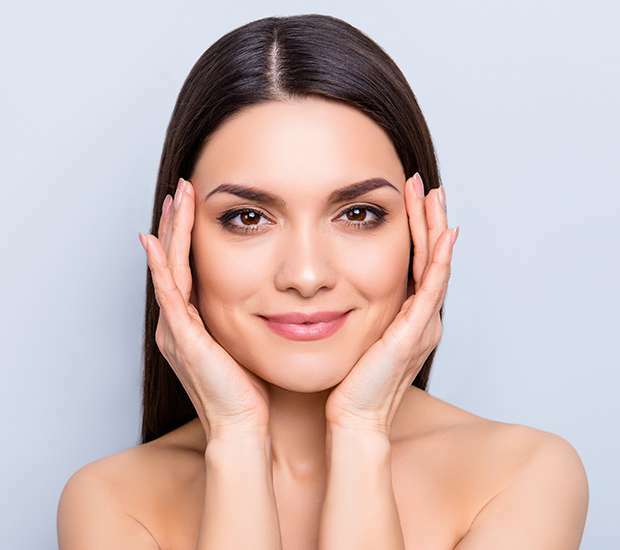 Dr. Rodriguez assesses these variables and precisely marks the optimal sites for injection before the procedure, while you contract and relax the areas of unwanted wrinkles. This more precise placement of the Botox gives effective wrinkle reduction, while maintaining a natural appearance, instead of the dreaded wax figure look. In short, you should expect real noticeable results within one or two days after treatment, and maximal relaxation of the offending muscles occurs after about 2 weeks. These results can last up to four month on average. You may have some slight bruising at some of the injection sites, especially if you are taking blood thinning medications like aspirin or ibuprofen. Makeup may be applied over the treated area after a few hours. Botox works beneath the skin’s surface and targets the underlying muscle activity that causes crow’s feet, frown lines between the brows, and horizontal lines across the forehead. For the crow’s feet area, Dr. Rodriguez injects the lateral areas of each orbicularis oculli muscle that frames the side of each eye. Injecting Botox into these muscles that cause crow’s feet lines temporarily reduces the activity of those muscles, resulting in a reduction in the appearance of those lines and more youthful eyes. For the forehead lines, Dr. Rodriguez distributes the Botox evenly into the underlying frontalis muscles that cause horizontal lines across the forehead, causing temporary reduction of the activity of those muscles. The result is smoother, wrinkle-free forehead skin. For the frown lines between the brows, the procerus and corrugator muscles that pull the brows together and down are precisely injected to produce a calm, more pleasant appearance without droopy brows. Dr. Rodriguez is also expert at advanced Botox techniques to reduce down-turned mouth corners, chin wrinkles, fine lines around the lips, and neck bands.